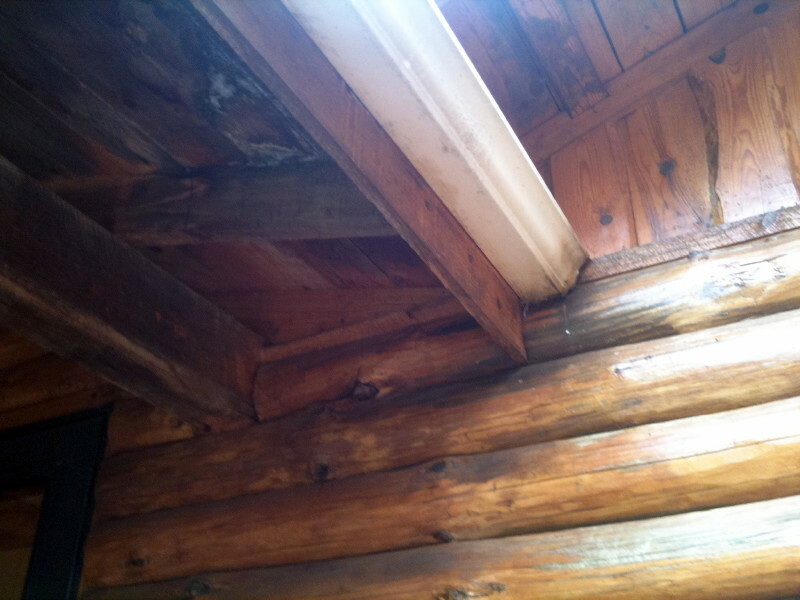 Rot on log homes can be prevented if decks are properly flashed when being attached to a log wall. We see so many problems when the flashing is either not installed at all or when it isn’t done properly. Logs underneath a deck can be vulnerable to rot. What’s the bid deal? Water on decks has to find its way OFF the deck after a rain or snow. If it is allowed to seep between the deck boards and the logs, overtime this excessive moisture builds up and can cause the logs that the deck is attached to to rot. Logs below the deck also are at risk in this scenario. The solution is to make sure there is flashing between the deck and the supporting logs. 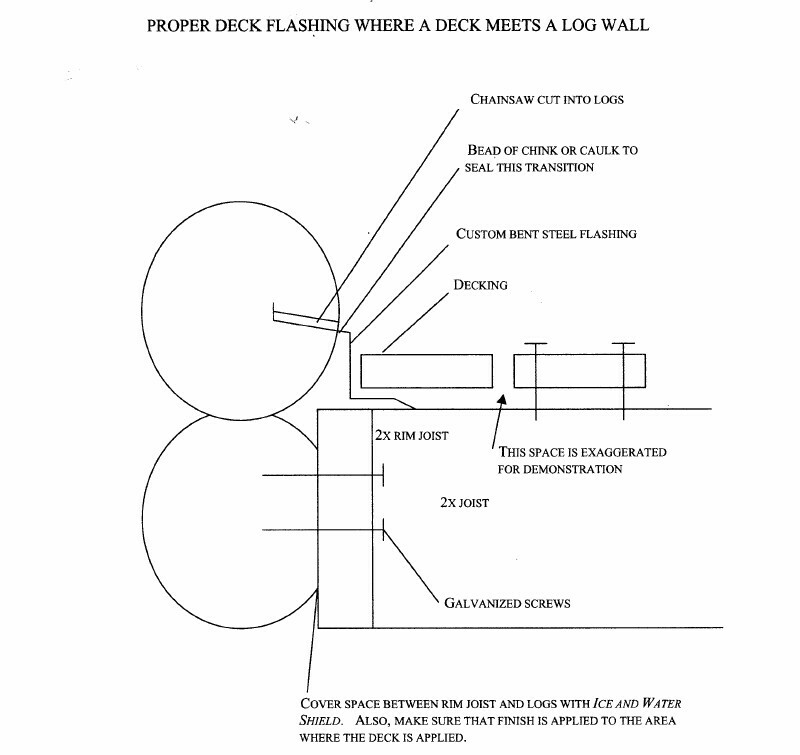 Here’s a diagram of how to properly flash a deck to a log wall.